I have to admit that I bought these on a whim. I hadn’t actually planned to buy any lipsticks from THEFACESHOP, but I tried them for fun at the store and was absolutely floored by the formula, so I bought not 1, but 2! 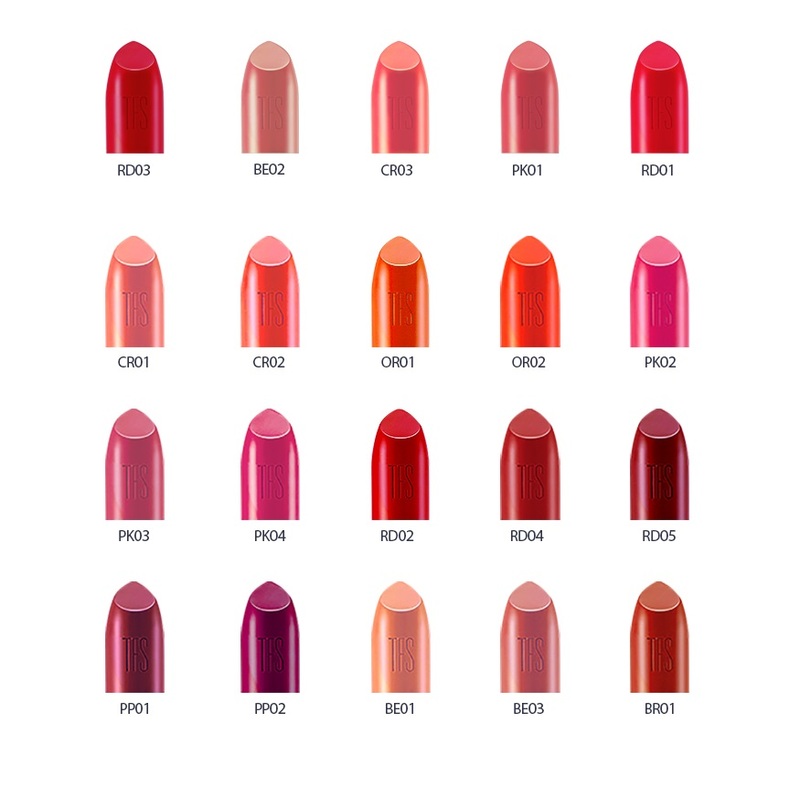 I bought shades PK01 and RD04, which I thought were very nice and representative shades of pink and red respectively – what I planned was to use pink for casual, fun days, and red for more formal events. UPDATE: I recently purchased shade BE03. This is by far one of the best MLBB shades I’ve ever gotten. Colour payoff is INTENSE: This took just one swipe – can you believe it?! Incredibly moisturizing: just look at how the lipstick reflects light! This always feels really good on my lips because it is incredibly moisturizing, almost like a lip tint. What they didn’t include in the product description (and totally should) was also how long this lasts. It actually manages to survive round after round of eating and drinking without transferring much. I love this so much that I keep singing praises of this to my friends, and even went back to THEFACESHOP in hopes of buying another shade (I ended up buying the Matt Touch lipstick, another amazing product that I’ll review next time). I don’t always sing such praises of lipsticks (which usually disappoint me with the formula and short staying power), but this is honestly worth all the praise I can give. This product is the foundation of my trust in THEFACESHOP’s cosmetics, and now I know why Suzy can manage to look so flawless all the time. As a testament to how frequently I use the lipsticks, you can see from the featured image that the tip is already ‘worn out’ by a fair bit. I really like how all I need to do is swipe this lipstick once and my lips are ready for a long day ahead, so I definitely recommend this with both my thumbs up. The only issue I take with this product is that it’s definitely not one of the cheapest options you can get out there, but I think for the quality it offers, it’s definitely justifiable. Love the lipsticks, especially the darker shades. I love lipstick! I’ll let you know if I like it..thank yo for taking the time to be so informative. I really appreciate it!